Sell your KLAUS SCHULZE items on eBay ! On Kontinuum, Schulze reaches back to his 30 year old and defining album Mirage and picks up the trail of lush analogue electronics where he left it since 1978-something. Of course it's not groundbreaking anymore, but for an artist this late in his career that is no requirement. We're totally happy with more of the same, especially if it comes as entrancing as this one. Sequenzer is a must for all lovers of electronic music, starting with a sequence of synthesized acoustic guitar picking. In the typical Schulze fashion, other themes are woven around it, one on top of the other, till you get lost in the rich texture of sound. There's no other artist that can make computers and synths sound like this. On Euro Caravan, the sequences are faded out and an eastern female voice is added on top of dark and gloomy synths. Halfway in, an entrancing moog sequence with electronic percussion stirs things up. You might want to crank up the volume here! After track 2 we're 50 minutes in and there's another 30 minutes of slowly developing themes ahead. As usual, Schulze makes no music for the timespan-impaired or for people that sample albums by listening a minute here and 30 seconds there. This is music you must immerse yourself in. Kontinuum is a solid album by Klaus. It doesn't come as a surprise though; he had been in a great creative mood ever since he started his cooperation with Namlook in 1995. But if we discard the thrilling music that lies scattered throughout the Dark Side Of The Moog albums, then this could easily be called his best solo album in a good 25 years. 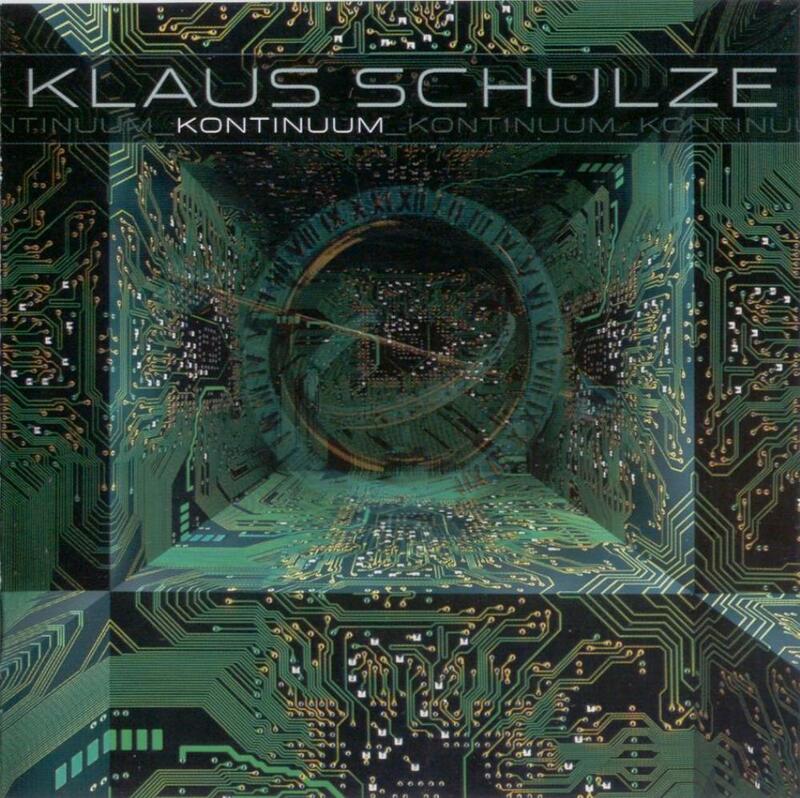 Klaus Schulze delivers a brilliant album once again. It is so good to listen to these wonderful synths melodies! So captivating, relaxing like during the superb opening song "Sequenzer From 70 To 07". No sequencing at all but only magic. It reflects an atmospheric ambiance, an ocean of tranquillity and piece of mind. In one word: splendid. I am brought back some thirty years from now while listening to it. And I like this feeling. A lot. The tradition of very long pieces is also remarkable. The mood of the second one (almost twenty minutes as well) is much darker and colder than the warm opener. My impression is not as good as it is for "Sequencer". "Euro Caravan" is too lengthy and monotonous; but once in a while KS has released such a piece: fine to listen to a couple of times but not precisely too often. The third long piece of music which closes this album is a thirty minutes + epic: "Thor" is leading us to the boundaries of time and space. As far as time is concerned, one can say without being treated of harshness, which the good old seventies are brought back on the forefront. And this is fine. One needs to listen quite of time to this song to realize its richness. After a first listen, one can believe that this is only a monotonous and only repetitive track. But the more I listened to it, the more attracted I was. Melodic and very quiet all the way through, this track is excellent for meditation, balance and peace of mind. Very good composition with ambient and distinctive themes. This is one of the best album from KS since quite a long time. Four stars. Though I found myself fascinated by the albums of Tangerine Dream in the 1970s, I never really became a fan. I think that I always thought that the production was weak, murky, even cheezy. Now I hear a 21st Century Electronic Prog album by maestro Klaus Schulze--using 21st Century technologies and recording advances--and I am blown away. Had the TD/KSchulze albums of the 70s had this engineering and production they would be on my frequent playlists. Despite Schulze's use of familiar song structures, these three epics are nearly flawless: engaging, creative, melodic yet creepy or quirky when they need to be. From the first notes of "Sequencer" (10/10) I was sucked in and did not want to tear myself away. The same feeling occurs with each replay. It is a true masterpiece of the sub-genre--maybe the one that I would play first were anyone to ask me to play a track best exemplifying the TD/Schulze sound. Not enough development and variety on the album's last song, and yet the album as a whole is a perfect update of some of the best sounds and techniques of the pioneers of electronic music. Only, here, they benefit from the technological advances in sound production and music recording. 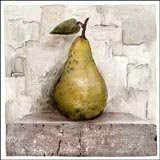 5 stars, a masterpiece of progressive rock music. As much as I respect him as a pioneer of electronic music, I have to admit that by the end of the 1970s Klaus Schulze's material had become more than a little samey, and for the subsequent decades there seemed to be little improvement or variation. (His habit of apparently releasing every scrap of music he recorded didn't exactly help, flooding the market with mediocre Schulze albums which until recent reissues buried the gems in his back catalogue under their oppressive weight). Kontinuum seems to be something of a return to form. The lead track of the album is the impressive Sequenzer (From 70 To 07), which seems to be intended as a summation of his career from its dawn to the present day. And It kind of works, since it begins sounding like a vintage piece from his early career and bit by bit incorporates more modern equipment and techniques to bring the listener to the present day. With two more epics of a standard suitable for his great pioneering albums of the 70s rounding off the album, it's a brilliant reminder of what Schulze can achieve if he puts his mind to it. This is the album I'm sure a lot of people, myself included, expected to hear from Klaus Schulze in 1979, after his monumental double-disc, career peak album "X". Instead, the veteran synth-wizard threw his fans a curve-ball, collaborating with singer Arthur Brown for the "Dune" album, and afterward dulling his cutting-edge style by embracing the brave new, dumbed-down world of digital technology in the 1980's. Fast forward three decades, past a lot of sub-standard efforts showing the once-influential electronic music pioneer more or less treading water. I wouldn't say this '07 album completely recaptures the zeitgeist of the 1970's (an impossible aim anyway: those days are long gone). But for the most part it displays all the subtlety and sensitivity missing from too much of Schulze's contemporary output, recalling the Golden Age sound of albums like "Mirage" and "Body Love" without trying to mimic them. The awkwardly-titled "Sequenzer (from 70 to 07)" opens three long, interlocked tracks of drifting, pulsating soundscapes. Like the album title itself, the name of this opening cut suggests a linear path from Schulze's early analog masterpieces, but after so many lean years it's actually a retrograde broad jump worthy of Jesse Owens. The conspicuous lack of electronic percussion is a particular bonus, allowing the music to find its own rhythm without any artificial help. Unlike the work of other students in the so-called Berlin School of keyboard noodling, the music here isn't hamstrung by a lazy reliance on unimaginative programming. It's all the little details between the sequencer patterns that make the piece so hypnotic: rising to the foreground, fading and overlapping, and finally drifting into the 20-minute "Euro Caravan", a more dynamic workout (after the slow, ominous build-up), with sampled near-eastern singing and a stronger rhythmic core. The more than one-half hour long "Thor" doesn't quite summon the expected thunder of its namesake deity. But it does achieve a pleasant, trance-like repetition, despite the arbitrary end to its lively, somewhat too long middle sequence, with almost ten minutes of surplus ambience still pending. In all, a welcome return to excellence. But I have to wonder if the album works as well as it does only because our critical yardstick has shrunk in recent years. Maybe it's worth remembering that Schulze was approaching his 60th birthday when this album hit the streets, so: not too shabby an effort for a sexagenarian survivor of the kosmische revolution. 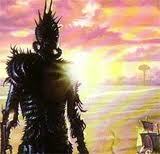 day 2, solar - Most peculiar. Altered form held for second day and now vox mimic. Repeat vox mimic. *New alteration*, slight increase in temporals, comp now reading multiple source transmission. Source signal lost, flares-- flare interference. Background vibratories, a shadow? day 3, solar - Shadows developed, extraordinary. Much like music, expansive, sedate but vast, reminds of the Tuvan throat singers, overtonal, tangible. 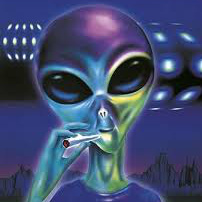 Beginning to help relax me, pass some time, emotionally stabilize. 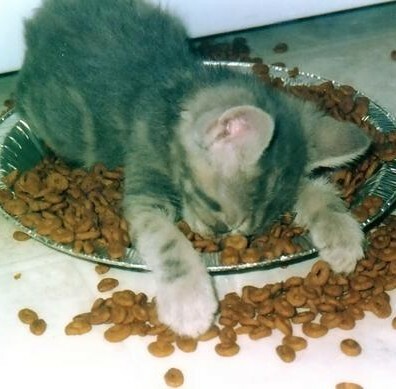 I actually got five hours sleep(!). Most gratifying. Getting more now, becoming part of my reality. Tapering off. Sounds like thunder. Whereas the troubled new-wave / new-age waters of the 80's were a difficult context for Klaus Schulze to express himself, the 90's represent a celebration of his ideas with the explosion of techno and trance. However, for me, it was the third millennium that really saw the genuine awakening of the German Moog pioneer. Schulze finally found his place in the contemporary musical landscape, and managed to renew himself better than most other historical electronic bands, such as TANGERINE DREAM for example. 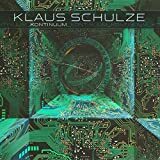 "Kontinuum" revives the typical schulzian experience by offering extended hypnotic sequenced soundscapes with modern sonorities. The three titles are continuous, forming a single track of 76 minutes. Besides a return to the original 70's recipe, this opus also marks the 60-years anniversary of the synthesizer wizard. The 32 minutes "Thor (Thunder)" is the final and longest title of the record. Don't be mistaken by the opening storm sounds, this composition is pretty much in the vein of the previous track, however without less vocalizations and inspiration. With such a title, the listener expecting a dark and raging epic suite will be quite disappointed, as the music is rather calm and takes the time, finishing in an ambient note. Not bad per se, but a little redundant with "Euro Caravan" and definitely too lengthy. Like me, I believe than many progressive electronic and 70's KS lovers were somehow disoriented by his releases after the ambitious 1978's "X" or 1980's "...Live...". "Kontinuum" arrives as the long awaited album for these fans, the one where Klaus finally remember his magical formula. Although "Moonlake" was more modern and varied, this opus more resembles trademark Schulze compositions in terms of structure and ambiance. There are two major problems though: the length and the redundancy. The music does not expose enough changes or evolutions to justify such durations, and "Thor (Thunder)" is optional. Anyway, if you're a fan of classic Klaus Schulze, don't miss this disc. "Kontinuum" is one of the best post-1980 works by the German, with "Moonlake". How should we call it? "Modernized vintage electro-prog"? 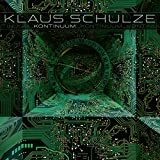 Post a review of KLAUS SCHULZE "Kontinuum"